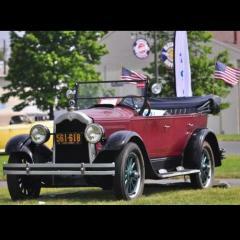 I am looking for a good experienced engine rebuilder for my 1930 Model 68 (Master) Buick with a stock 331 C.I. motor. Prefer someone in the North Carolina area, but am willing to ship the engine if necessary. Looking for someone who can do a complete rebuild of the engine and I am willing to spend whatever is required to accomplish that task. Hi - We do all our work in house including computer balancing, crank grinding, line boring and Babbitt work; give me a call and I will give you an honest estimate for the work that you require. Thanks in advance for a chance to do your job. Hi, I have a engine rebuilder who re-builds engines from the teens up to the 2000 +. He rebuilt two for me. My first was a 1953 -263 straight 8. My second was a ‘38’ 248. He does line boring, babbit bearings. Lots of Model A. stuff. Engine and rear work. And the usual rebuilding tasks. Cranks are done by a racing car engines guy who does these for special engines and balancing. Location is St Petersburg Fl. He is Doug Schooley of. “Schooley Engines” and his number is 727-541-5301. He is a bit picky when he does engines. Does them right or he will tell you why. Quoting is tough as you don’t know what you have until he takes it apart. Prices are good meaning you will know everything that he does and why. If there is any questions, he will tell you exactly what. No surprises. He was in a shop behind my bearing shop and i’ve known him and his reputation for over 20+ years. Happy and satisfied customer and friend.. Here is where I go. They have done several engines for me, and they do the babbiting for the rods and mains. Been around since I think 1927. I know Reeve's Enterprises well. They are very sympathetic to our needs as they have several Buicks. And regularly do some high end engines. Pierce and Packard V 12s etc. They rebuilt my 1925 Standard engine and my "Midman's" 1931 90 series 344 engine. Wonderful people to work with. Sounds like a good dependable engine shop. In todays world, with the costs being what they are, you want it done right the first time. Many thanks to all who responded to my inquiry. Now it looks like I have some good options to consider.